Welcome to the second of my detailed write-ups of the 2019 London Coffee Festival, which took place three weeks ago at the Old Truman Brewery. Last week I wrote about the coffee, while this week my focus turns to the kit, those various bits and pieces of coffee-related equipment which you always find at the London Coffee Festival. You can find details about the festival itself in my Festival Round-up, published two weeks ago. 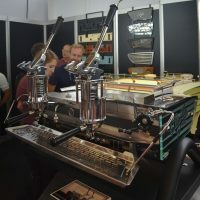 The London Coffee Festival has always seen more than its fair share of coffee-related equipment, with many manufacturers choosing to launch their latest products at the festival. This includes a lot of professional equipment, including the latest espresso machines, which, although interesting, are, sadly out of my price range. I’d also need a bigger kitchen! Since I had limited time this year, only attending for two days, I focused on the home user, further narrowing my focus to some familiar names who were launching new versions of their products, along with some interesting new products from a company I’d not heard of before. This covered a wide range, from the simplicity of a manual grinder all the way up to an (almost fully) automated espresso machine. 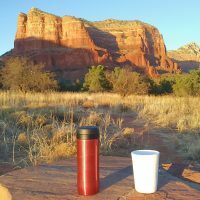 A couple of years ago, I wrote about my travelling coffee kit. Back then, I was regularly packing my Aeropress and Travel Press, my Aergrind hand grinder, a set of scales, a metal jug, the occasional kettle and, finally, a decent reusable cup. Fast forward a couple of years, and that’s still the core of my travelling coffee kit, except that recently I’ve added a couple of items to it. You might think that I already have enough coffee kit and, honestly, I might feel inclined to agree. However, when I first wrote that piece, while travelling a bit for work, much of my travel was for pleasure, often visiting places with great coffee shops, so my travelling coffee kit wasn’t as important. Since then, as a result of acquiring a gooseneck kettle, I’ve become enamoured with pour-over, something my current kit doesn’t support. I’m also spending far more of my time travelling for work, and I’ve found that I’m missing my pour-over. Therefore, on my most recent trip to China, I decided to do something about it. However, travelling with a V60 and a large pouring kettle (on top of everything else) is impractical, so I needed an alternative. Regular readers know all about my obsession with reusable cups. I wrote extensively about them at the start of 2017 and again at the start of this year. I’ve even gone as far as to produce my own Guide to Reusable Cups. I’m quite picky though, not really liking plastic and only going for cups that are 9oz or smaller in size. The initial gold standard was set in 2014 by the glass KeepCup. Since then there have been other glass cups, most notably the SoL Cup, another Australian product. However, I’ve also enjoyed using my ceramic Therma Cup from the UK, still pretty much my go-to cup, while in recent years, various other materials have come along, including recycled coffee grounds (Kaffeeform cup) and bamboo (Ecoffee Cup). This year, innovation has continued apace and I’m pleased to say that I’ve receive three new cups (all gifts from the manufacturers/distributors). The first, Eco To Go, from the UK, is made from rice husk, a by-product of rice processing. Similarly, the HuskeeCup, an Australian product distributed in the UK by Eco To Go, is made from coffee husks, a by-product of the milling process. Finally, there’s another UK product, Global WAKEcup. This time last week I was in Amsterdam for the World of Coffee, the Specialty Coffee Association’s annual European jamboree. If you’ve never been to World of Coffee, think London Coffee Festival, but with a more relaxed feel. London Coffee Festival on decaf perhaps? Although general consumers are welcome, it is more of a trade event, which contributes to the relaxed atmosphere. All the usual (big) names are there when it comes to coffee equipment, in a large, spacious main hall dominated by big stands. There’s a dedicated Roasters Village, home to the small (and not so small) speciality roasters. The stands are much smaller and closer together, which gives it a London Coffee Festival-like atmosphere, but without the annoyingly loud music. World of Coffee is also home to one or two of the world coffee championships, this year hosting the World Barista Championships. In October 2016, I was in Hong Kong at the start of my around the world trip. As a result of an intriguing e-mail I’d received from John, of Decent Espresso, I found myself in a multi-floored factory building in an out-of-the-way part of the New Territories. It was there that I first laid eyes on the Decent Espresso machine, a high-end home espresso machine that John and his team had under development. What I saw was just a prototype, still on the lab bench, but I could see its potential, particularly as John explained his design philosophy. The goal was certainly ambitious: to produce performance equivalent to that of a professional espresso machine, but at a price which would be in the reach of the home enthusiast. 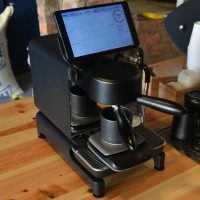 Perhaps most exciting of all was the use of a dedicated Android tablet, running bespoke software from Decent Espresso, to control the machine. Using the tablet, you would be able to control every aspect of the process, from pressure to water temperature, from flow-rates to shot times. However, that was a prototype, and there was plenty of work still to be done. Would the final product live up to the promise? If you have been paying attention on social media (or indeed, reading my posts!) you’ll know that for the last four weeks, I’ve been travelling around the USA, first in Florida/Miami, then in Phoenix/Arizona. 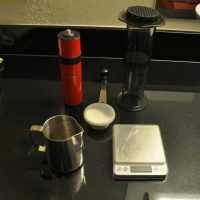 In the past, I’ve written about my travelling coffee kit and I’ve also written extensively about making coffee on planes and at airports, which makes the long journeys bearable. On this trip, I’ve been doing a lot of touring, which means not that many visits to speciality coffee shops along the way. In the past, this has meant either not having coffee or having to put up with bad hotel coffee in the morning and bad diner coffee during the day. However, since getting my Travel Press, all that has changed. It’s that time of the year, when everyone publishes Christmas gift guides. This year, due to my recent trip to Shanghai/Beijing, I’m a little bit behind, but if you’re looking for some last-minute presents, here’s the Coffee Spot’s entry into the fray, an eclectic selection of gifts for your coffee-loving friends/relatives. 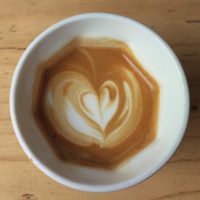 The coffee-loving community can be awkward to buy for, particularly if, like me, they’re towards the far end of the coffee-geek spectrum, when any choice runs the risk of being ill-informed. Do you get them coffee? Or coffee-related kit? Or a book about coffee perhaps? Never fear, the Coffee Spot’s here to help you out, whether you’re a novice, looking for pointers for gifts for your coffee-obsessed friend, or if you’re that coffee-obsessed friend, looking for a handy guide to point your friends towards. There’s also a few suggestions for presents to help your coffee-loving friends who’re at the top of the slippery slope of coffee-geekdom and just need a helping nudge to begin the headlong descent into the rabbit-hole of speciality coffee. For a long time, my go-to hand-grinder has been made by Knock, which produces a range of top-quality hand-grinders. 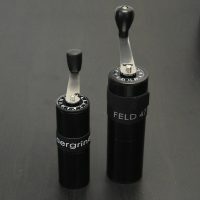 I actually have two Knock grinders, Woody, the world’s first wooden feldgrind and Red, which is a feldfarb, the metal version of the feldgrind. I wrote a comprehensive article about Woody two years ago and since then both Woody and Red have received extensive use. What sets Knock’s grinders apart from the cheaper hand-grinders on the market is the use of a high-quality steel burr set. 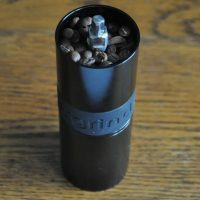 This gives far superior grind consistency (not to mention being easier to use) when compared to the ceramic burrs used in entry-level grinders. The Knock grinders also have the easiest adjustment mechanism I’ve seen on any hand-grinder. A little while ago, a reader, Linda, got in touch to ask me how I managed when travelling to places where there was no good coffee. This made me realise what a very good question that was. While I’ve written on several occasions about my penchant for making my own coffee on long-haul flights and overnight trains, as well as hinting on other occasions about making my own coffee in hotels, I realise that I’ve never really addressed the issue in a comprehensive matter. Over the five years I’ve been writing the Coffee Spot, I’ve gone from drinking whatever I’m given to being quite obsessive above bringing my own coffee and coffee-making equipment. I’m not quite sure when this started, but it’s become increasingly important with the amount of travelling I’m doing. As an example, tomorrow I’m off to Manchester for a week for work, then the weekend after that, I’ll be in Leeds, before flying to Chicago for three weeks (work + play). I can’t imagine being away for all that time without decent coffee, so I’ve assembled a basic travelling kit which, give or take a few items, comes with me wherever I go. Welcome to the third and final part of my exploration of traditional Vietnamese coffee following my recent visit to Vietnam. 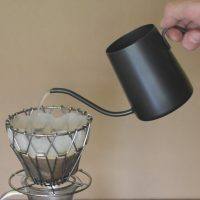 Part I covered my introduction to Vietnamese coffee and the traditional cà phê phin, a cup-top metal filter. I explained how, after a few false starts, I discovered a taste for speciality coffee made with the cà phê phin when I tried it at Shin Coffee in Ho Chi Minh City. In Part II, I continued my exploration, trying traditional Vietnamese coffee, both speciality and non-speciality, over ice, and with condensed milk, with mixed results. I also tried the (in)famous egg coffee, traditional Vietnamese coffee with a layer of whipped egg yolk and condensed milk. Think of it as a liquid pudding rather than coffee and you’ll be fine. 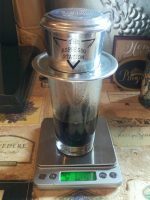 In this, Part III, you can see how I got on making traditional Vietnamese coffee in various hotels and back at home using my own cà phê phin which I bought at The Espresso Station in Hoi Ann. 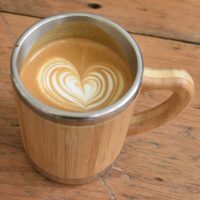 I’ve tried a number of different beans, and used a couple of recipes which I picked up simply by observing baristas making coffee at the likes of Shin Coffee and Hanoi’s The Caffinet.